Your FIRST STEP to automation! 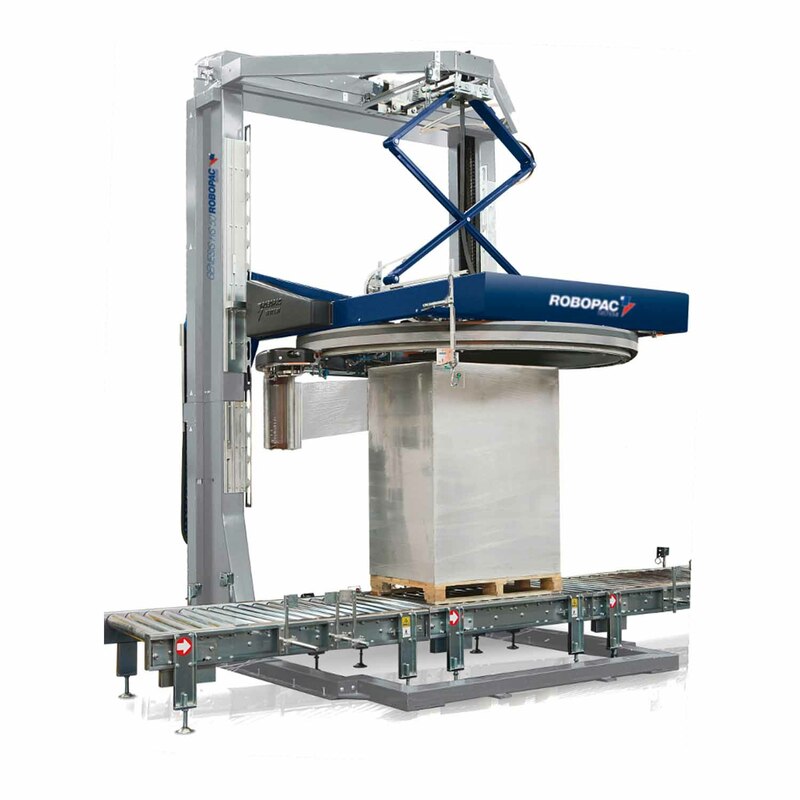 Turntable automatic stretch wrappers offer an affordable, compact and efficient solution for pallet load stabilization. 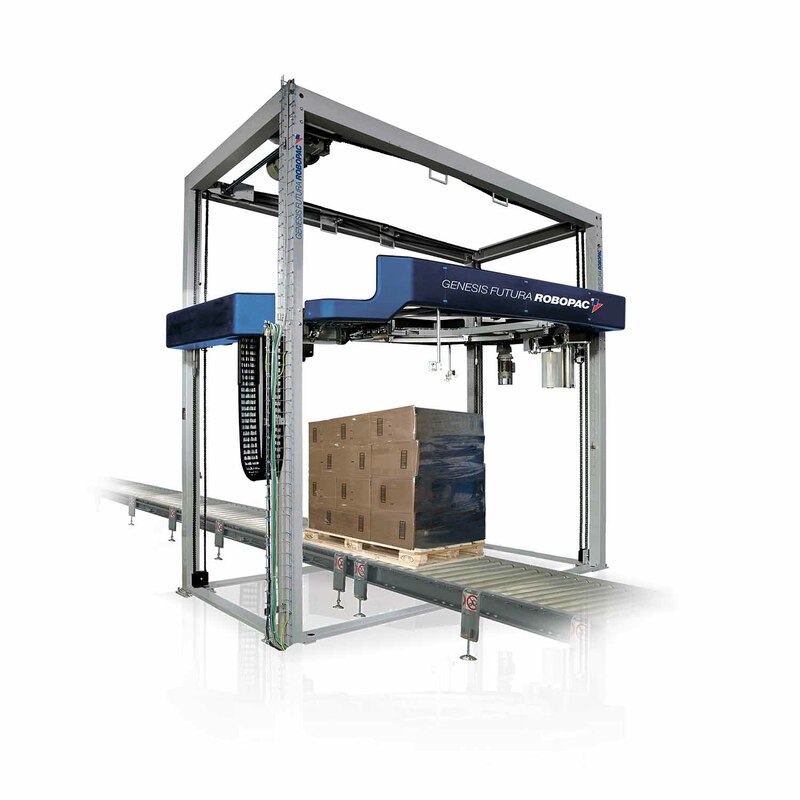 Whether you need to integrate a stretch wrapper at the end of your production line or create an automatic stretch wrapping island for multiple fork lift operators to use, the automatic turntable stretch wrapper may be a perfect solution for your stretch wrapping needs. 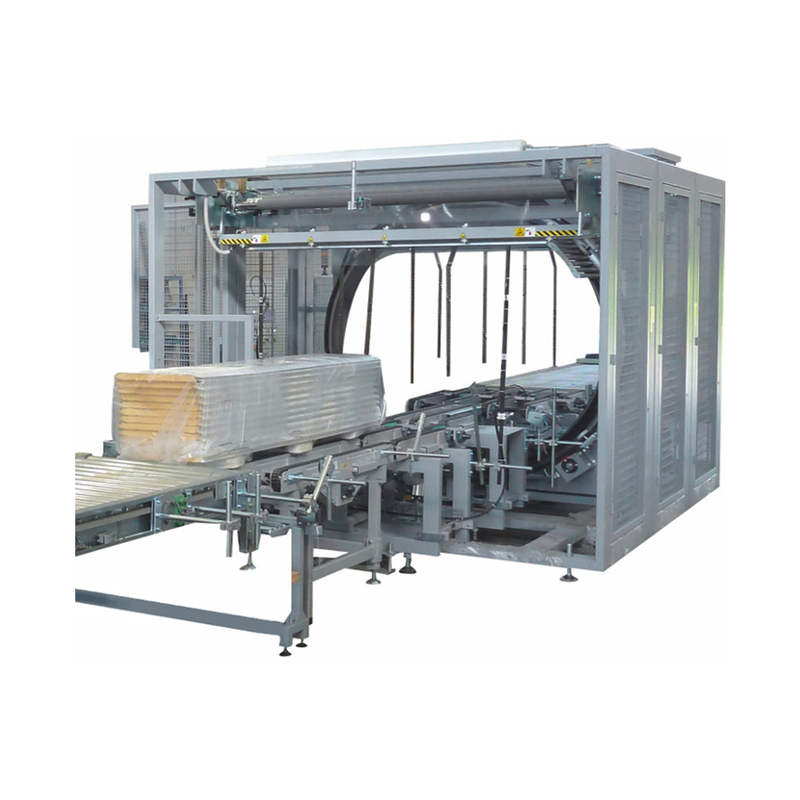 Rotary Arm style automatic stretch wrappers are engineered for demanding applications. 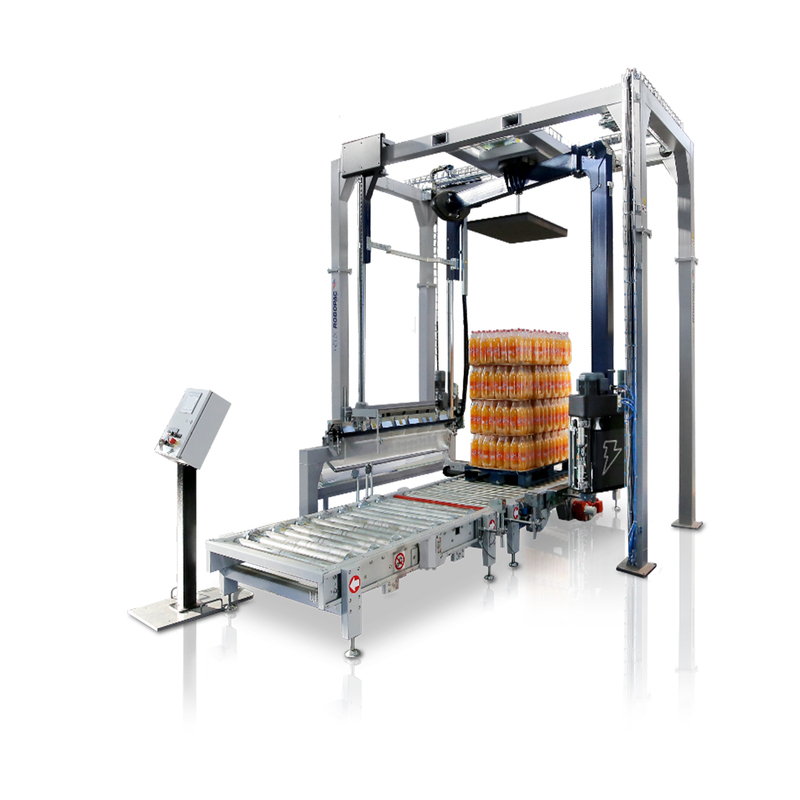 The advantages of rotary arm style wrappers include higher throughput capacity and secure wrapping of light weight or irregular loads. Robopac rotary arm machines are built for longevity and offer a 10-year warranty on our heavy-duty ring gear. 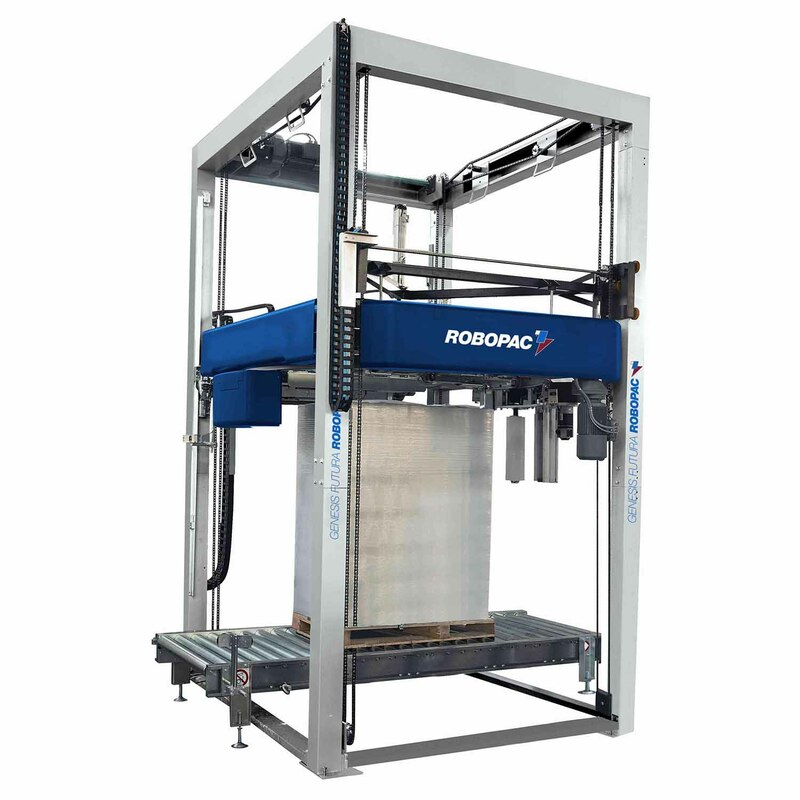 Robopac offers several models to accommodate your application. 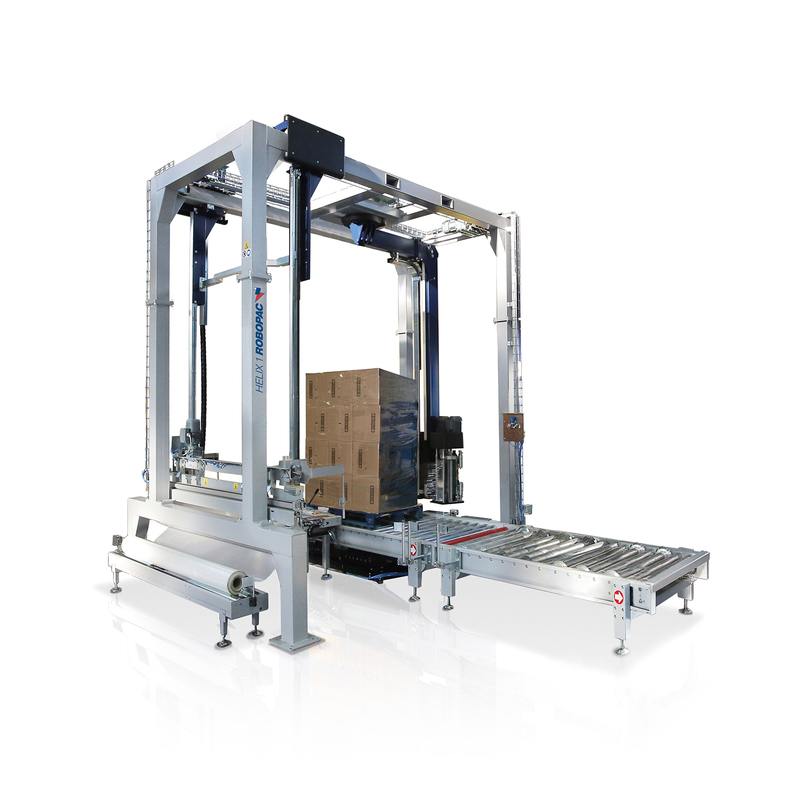 Rotary ring style automatic stretch wrappers have long been regarded as the best solution for high speed applications. 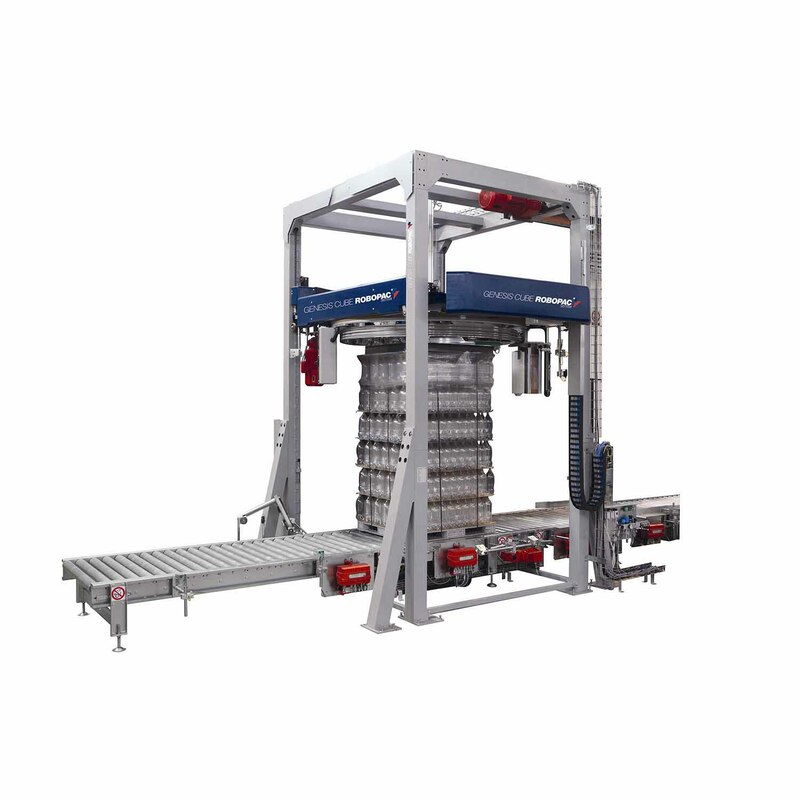 Along with speed the rotary ring machine also provides a high degree of flexibility to allow for reduced cycle time. 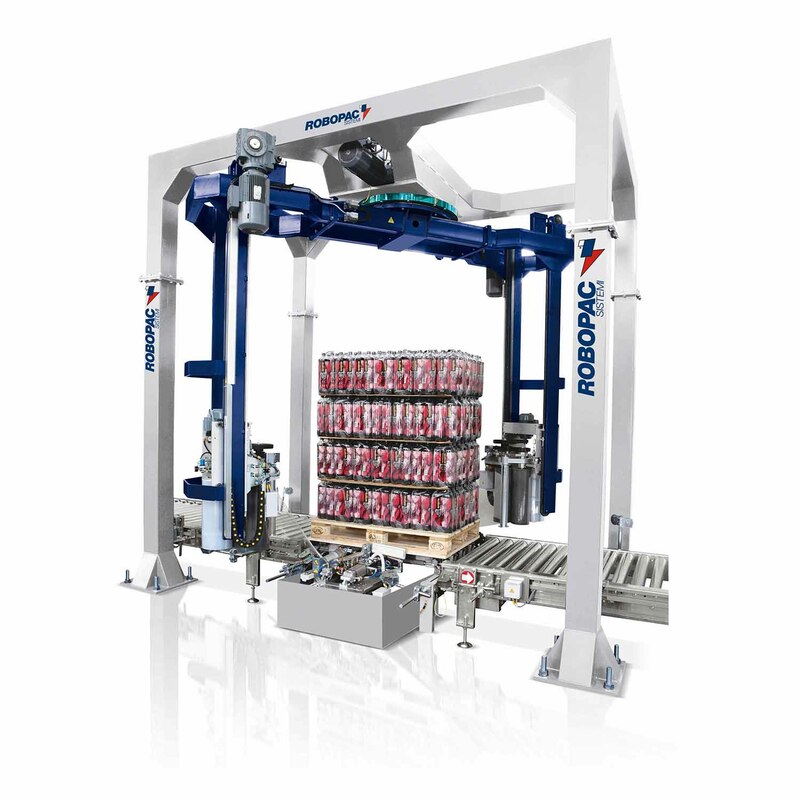 Robopac rotary ring wrappers feature a patented technology that eliminates the use of sliding electrical contacts which greatly reduces maintenance costs. 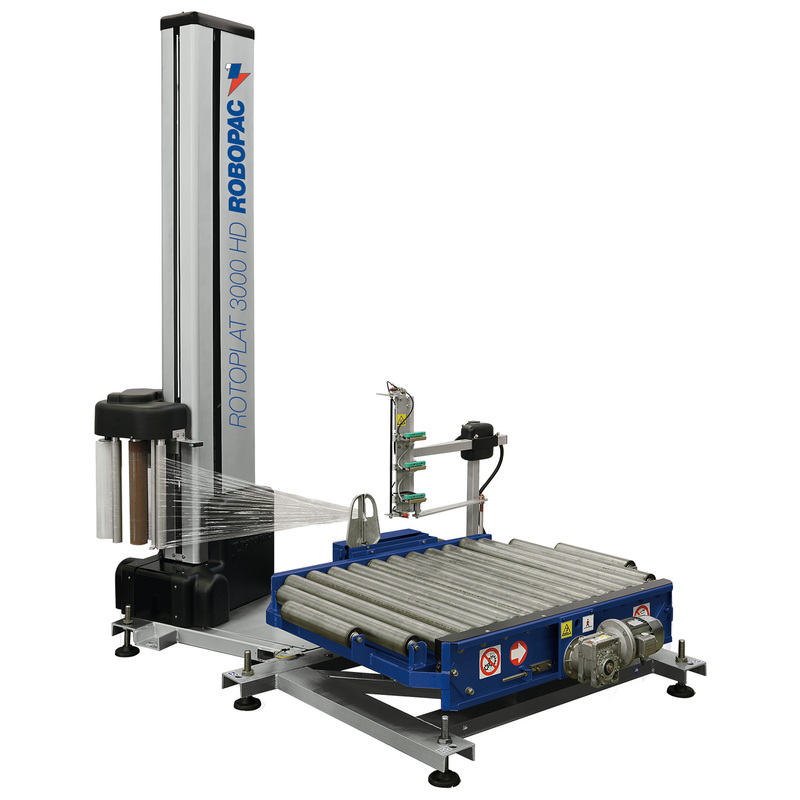 Robopac offers the widest range of rotary ring stretch wrappers and with over 5000 units sold Robopac is the clear world leader in rotary ring stretch wrapper technology. 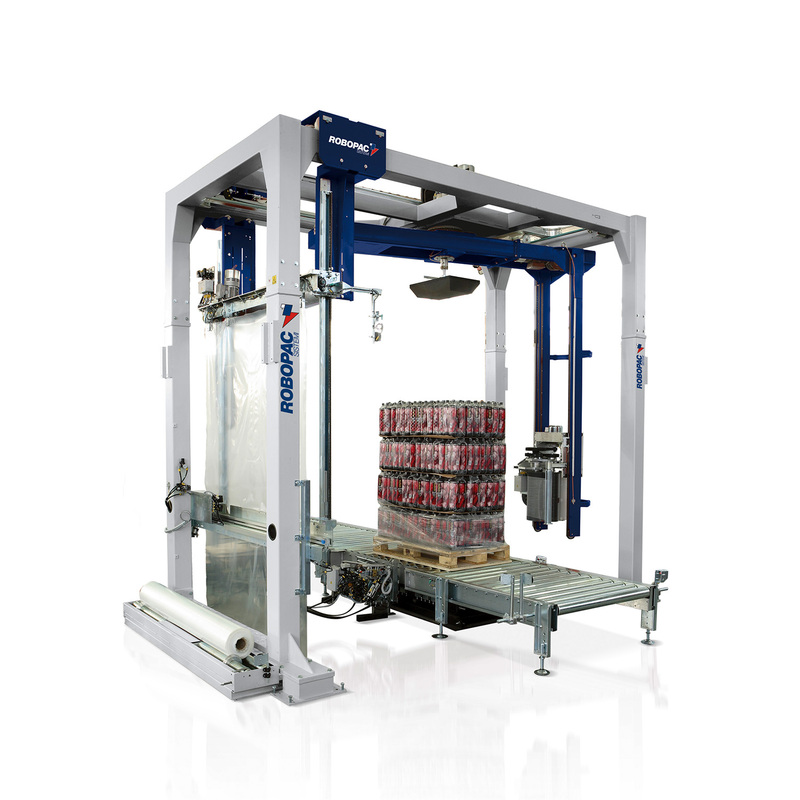 ROBOPAC high-speed automatic rotating ring machines are the most productive and safest way to wrap lumber, doors, windows, carpets, textiles, copper piping, corrugated tubing and more!